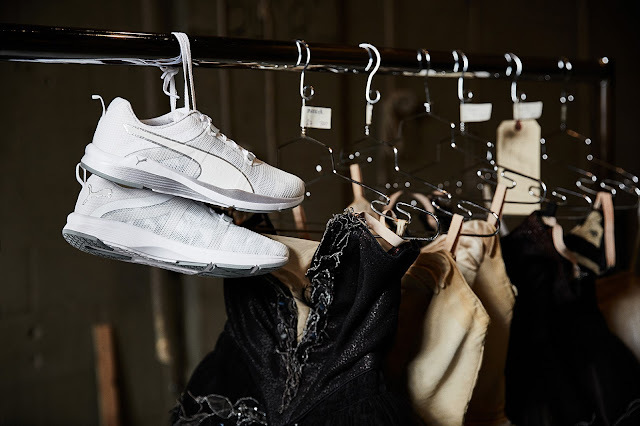 Swan Pack, Suede Heart Reset, Basket Heart Explosive, FENTYxPUMA..
PUMA Swan Pack Collection is inspired by the freedom of self-expression and the strength and grace of the ballet. It brings together the fiercest Sportstyle and Training styles from PUMA with a touch of swan-inspired details such as black-and-white color palette, iridescent materials and feather prints. "To 'DO YOU' is to take ownership of yourself and finding the power within that ownership - it's a very powerful statements," says Cara. Living up to the mantra, the Suede Heart features a soft suede upper and finished-off with thick velvety laces that create the perfect bow. Available in pastel colourways of Aruba Blue, Prism Pink and Soft Fluo Yellow. Continuing the 'DO YOU' campaign, PUMA also introduces the Basket Heart, a court classic from the PUMA Archive refreshed with a feminine twist. Staying true to the OG silhouette, the Basket Heart celebrates a sweater side of the sport. This is a collection that creates a platform for true individuals seeking streetwear that stands out and performs. It features bonded edges, matte and shine play, collar height and large, bold branding. FENTY x PUMA Bow Slides is here to elevates lounge and poolside wear to a whole new level with the softest leather material and statement oversized bow. 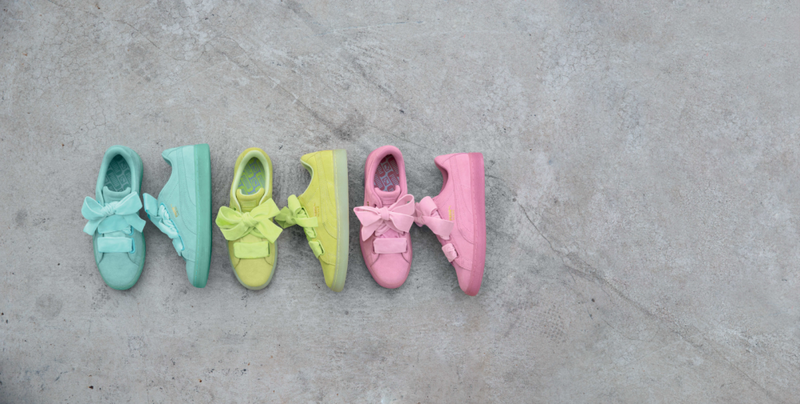 Other than that, FENTY x PUMA Bow Sneaker also highlight a femme fatal hybrid of PUMA's iconic Trinomic runner. Both are available in olive branch and silver pink. PUMA and Sesame Street is here to introduce another new collection for this Spring and Summer. You can expect to find fun, playful and quirky Sesame Street sneakers, hoodies, tees, backpack, cap and many more.. This is a collection that must-haves for every Sesame Street fans out there ! PUMA SS17 collection is available at PUMA stores, Crossover Sunway Pyramid and Sole What.